One of many free Portuguese Lessons is what you'll find here! Learn this lesson today and start thinking in Portuguese! You may have come to this page because you may be looking for free Portuguese lessons. 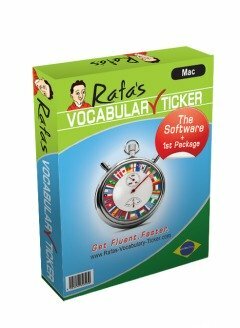 You may also be looking for an easy way to learn Portuguese. Let me tell you this: If you read this page and all the other pages of this site, you may find it easier to learn it here. If this is the case, great! I'll be here giving you loads of free Portuguese lessons! Lesson 1 - Ordering Food. Lesson 2 - Portuguese Numbers. OK, but today in this page, we are going to learn how to convert English words into Portuguese words. After reading this page, you'll be able to know hundreds, if not thousands of Portuguese words - in the blink of an eye! I'm going to reveal a secret about cognate words. What??? Cognate words?? What is he talking about??? Cognate words are words that can be easily transformed from English into Portuguese. If you are looking for free Portuguese lessons, you may be also looking for easy stuff to learn, and cognate words are one of them. My aim here is to convert difficult stuff into easy stuff to learn. And for free! How does it sound? Anyway, let me reveal the secret for you. As I was saying, there are a great number of words that can be easily transformed from English into Portuguese. This rule applies to around 85% of the cases. Obviously, we need some exceptions to make it interesting! So you see? Do you believe me now when I say that Portuguese is easy? In this case, all you have to do is replace the ending "ty" by "dade". With words like "pretty" (bonito), or "beauty" (beleza) it doesn't apply, just because these words come from different origins, but if you learn the exceptions, and use them, you get a great opportunity to show off your Portuguese skills to your friends... (Ah, the word "opportunity" is "oportunidade" in Portuguese, by the way...!). You can learn other exceptions in other free Portuguese lessons. But, as I was saying, this easy technique applies to most cases. 2. English words ending in ...tion in Portuguese end in ...ção [...saoong] and these are also feminine. In this case you have very few exceptions. These words are feminine, as I said, except "Coração" [koo-rah-saoong] - "heart" and "Calção" [kal-saoong] - "beach shorts". 3. English words ending in ...sion in Portuguese end in ...são [...saoong] and these are once again feminine. In the following free Portuguese video-lesson you will find examples for you to practice these words with the correct definite article. Check it out! 4. English words ending in ...stion in Portuguese end in ...stão [...staoong] and these are also feminine. 5. English words ending in ...gion in Portuguese end in ...gião [...gee-aoong] and these are also feminine. But hey! There are more! 6. English words ending in ...ly in Portuguese end in ...mente [...mayn-teh (EU)] or [...mayn-chee (BR)]. In the pronunciation aid, (EU) stands for European Portuguese, and (BR) stands for Brazilian Portuguese. These words have no gender because they are adverbs. Adverbs (words that qualify how a verb is doing) normally come from adjectives (which are words that give qualities to nouns). So, all you have to do is to take the adjective, put an "A" at the end, and add "mente". Adjectives that end in "...e" like "aparente" you don't have to replace any letter to transform it into an adverb, just ad "mente" at the end (so, "aparente" becomes "aparentemente") Easy!!! So, how are you finding this free Portuguese lesson? Useful, I hope! 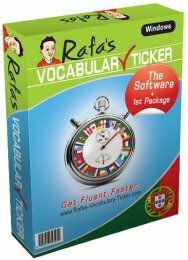 How are you finding these free Portuguese lessons and explanations? I hope you enjoy them as much as I am! 7. English words ending in ...ble in Portuguese end in ...vel [...vail]. These words are generally adjectives, but you don't have to make any changes when it comes to gender because they fit masculine and feminine (e.g. A Maria era sociável. O José era sociável. - Maria was sociable. José was sociable). OK. let's move on with these free Portuguese lessons and see the next example of words that can be easily transformed from English into Portuguese. 8. English words ending in ...ple in Portuguese end in ...plo [...ploo]. Well, in this group of words of this free Portuguese lesson, you will notice that there are a few words to which you won't be able to apply this rule, such as "simple" (simples) or "sample" (amostra). However, when you talk to Portuguese native speakers, they will help you to find the right word. 9. English words ending in ...ary in Portuguese end in ...ário [...ah-ree-oo]. Wow! Can it get any easier? OK. Let's have a look at the next group of words. 10. English words ending in ...cy in Portuguese end in ...cia [...see-ah]. Are you enjoying it? Me too! 11. English words ending in ...ist in Portuguese end in ...ista [...eesh-tah]. These words do not need change in gender. They represent "Male" and "Female"
And we only have 2 more groups remaining. 12. English words ending in ...ency in Portuguese end in ...ência [...ayng-seeya]. When you pronounce these words please note that you have to give emphasis to the vowel with the accent. 13. English words ending in ...ent in Portuguese end in ...ente [...antay (EU)] or [...antchee (BR)]. And tha's it for today. I hope you have enjoyed it! Take your notes from this page and please do not learn anything else today, as your memory may feel overwhelmed. Be good to yourself. 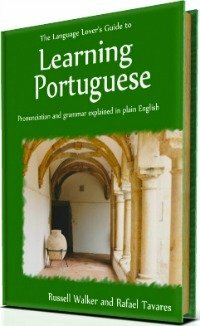 Go Back From Free Portuguese Lessons To Portuguese Grammar.